Challenging a Will: Money or Family? Fights over wills provide an appalling insight into the bitterness, anger, and recrimination that can tear families apart. Even when quite small sums are at stake, adult children, ex-spouses, stepchildren and others will stop at nothing. It’s enough to make a person turn in her grave. A recent report shows why increasing numbers of Australians are challenging wills in court: they’ve a good chance of success. Judges and mediators are able, in effect, to re-write a person’s will. They can even ignore a parent’s written statement that explains why this ingrate daughter or that callous son is to get nothing. The high level of contesting wills – particularly evident in NSW – can destroy family harmony forever and for generations, and whittle away the estate’s value in costly legal fees. Many of you probably know this. The study found 18% of those involved in a dispute said family relations had been poor before the contents of the will were disclosed but this rose to 26% afterwards. The report’s authors recommend measures to reduce the level of fights over wills. But the lawyers and others consulted were pessimistic. In this case DM convinced the judge it was her father’s and stepmother’s conduct that had caused the rift. [“My stepmother] is a horrible person,” DM said. “They [shut] the door in my face for 47 years.” She was awarded $75,000. Her legal costs that came out of the estate were $55,000. In another case two daughters were cut out of their father’s will because, according to the statement he left, “they make no attempt to contact me either by telephone or in person. No cards are sent to me either at Christmas or my birthday… I do not feel obliged in any way to make any provision out of my estate for their benefit.” The daughters were awarded $9,665 and $7,750 because the judge did not believe the father’s complaints were valid. The father’s friend, who was to inherit the small estate, spent $16,500 or 25% of its value, defending the action. This is madness. It turns out we’re not entirely free to give away the family silver to whomever we want. Our freedom is balanced by laws that allow courts to ensure family members (and others) who fit the criteria are adequately provided for out of the estate. Irrational and punitive parents and spouses can treat family members unfairly in their will, or come under malign influences. But lawyers such as Lesa Bransgrove, of Bransgroves Lawyers, believe the balance has tilted too far against the will maker. “What we’re seeing is a view in the courts that the responsibility of parents goes beyond the time when children are dependants,” she said. Judges had expressed a view that the community expected estates could be used to help adult children in retirement if they had no superannuation, provide them with a deposit on a home, or assist with the education of grandchildren. Elder law specialist Rodney Lewis says he didn’t believe it was too easy to contest a will and attributed the high success rate to lawyers having already screened out weak cases. To avoid feuds, Lewis urges will makers to communicate with their family. Where they’re departing from equal distribution – or giving a motza to the dog home – make sure everyone understands the reasons. Writing a statement of explanation is not a total waste of effort in the event of court action, he says. “But any defects in logic or errors of fact will undermine its authority.” So take care. Adele Horin was the social issues journalist with the Sydney Morning Herald for 18 years prior to her ‘retirement’. This article was first published on Adele’s blog (adelehorin.com.au), and is reproduced with her permission. Adele is recovering from an operation for cancer and we wish her the best. How do we help baby boomer clients who don’t have enough money to retire? For a number of boomers, this question has become more of daunting reality than most would like. Some clients only need tactical advice, such as tweaking their risk tolerance or increasing their retirement savings, in order to meet their retirement goals. Others, however, need to make radical behavioural changes (e.g., reduce spending, downsize housing, increase income) to come anywhere close to making their numbers work. Behavioural change however, is much more difficult for clients than tactical change and requires advisers to step outside of their normal comfort zones. This is because it is hard to communicate the stark reality of a financial situation – the good, the bad and the ugly – then outline remedies in a way that both encourages the client, and positively motivates commitment to change. This not only takes courage and skill, but also the ability to not judge, and a belief that most situations can be optimized far more than most clients are aware. My advice is to first help these clients establish short-term goals that will get them moving in the right direction. Once they have made progress and increased their confidence, baby boomer “catch-up” clients, will likely be ready to make bigger changes that will put them on the path to long-term financial security. So start small, then acknowledge and celebrate progress to build momentum. For this to work effectively, it needs to be an actual process where they explore, reflect and personally document what gives them intrinsic reward. This process doesn’t have to take a long time, but it can’t just consist of asking the question, “What are your values?” – most have never taken the time to really think it through and give an accurate answer. Once an individual has a clear understanding of what brings happiness to their lives and what is most important to them, making changes—in order to retain these values—won’t seem like difficult sacrifices any longer. The individual will then be internally motivated to stick with his / her plan and the adviser can position him / herself as a partner and not a parent. This aligns with the premise of Nudge: Improving Decisions about Health, Wealth, and Happiness, which was named “Best Book of the Year” by the Economist and Financial Times. 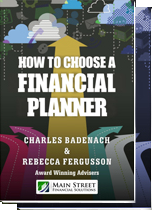 In this treatise on behavioural economics, authors Richard Thaler and Cass Sunstein demonstrate that sensible “choice architecture” can successfully nudge people toward the best decision without restricting their freedom of choice. They further explain that everyone who operates in an advisory capacity has the responsibility to be “a choice architect” and to present options in a context that the individual understands and can clearly identify the best path to take. “Nudges are not mandates,” they explain, but rather interventions that assist individuals in making decisions and taking actions that are in their own best interest. If you would like more information please contact your Main Street team. One of the more “silent” detriments to your financial security is not so much investment markets or interest rates or in fact planned capital expenditure in your retirement years; it is somewhat more subtle than that. The single biggest issue that we believe can undo your best laid plans is if you have an unforeseen need to assist your children, financially, “Family risk”. A substantial percentage of adult children in Australia continue to live in the parental home. In 2011, around 29 per cent of young adults lived without a partner or child but with one or both of their parents, up from 21 per cent in 1976. Most have lived out of the parental home and returned, many with their own young children. Financial reasons are the most common cited for this phenomenon, along with housing affordability and people marrying later in life and delaying childbirth. Many parents also do not want their children to leave home, for emotional reasons and to help them get a start in life. Some of these children already have debt of their own, paying off mortgages on investment properties and living at home to save money and make this possible. It could be that your children get married, borrow money for their dream home and have children of their own, creating financial liabilities that, unless properly protected, can have devastating financial affects on their financial and personal health. Your plan may be difficult to maintain if your children or grandchildren are affected by any number of financial or health issues that has the potential to involve you, to ensure they survive financially. It is one thing to provide for a child with a major disability, and another to provide for a child who has a partner and children of their own, especially if they are the main breadwinner of the household, if that child were to die, become permanently disabled or suffer a critical illness. The burden of caring for children also falls on grandparents. In 2011, 937,000 children received child care from a grandparent on a regular basis. This represented one quarter (26 per cent) of all children under the age of 12 or half (49 per cent) of those children who regularly attended some type of child care. According to the National Centre for Social and Economic Modelling (NATSEM), the cost for a middle-income family of raising two children from birth until they leave university is around $812,000. And the average loan size for all owner-occupied housing commitments in Australia in January 2015 was $346,600. We should take an inter-generational approach with planning for the future. Clients and advisers should talk about their adult children’s situation: do they have jobs, debt, or families of their own? Are they the main breadwinner? Do they have adequate insurance to cover liabilities and provide for their families? Have the parents guaranteed any loans? If these children have inadequate cover, are the parents prepared to assist financially in paying or partially paying premiums? What is the possible impact on your retirement plans. What would be the effect on their retirement income if they had to allocate hundreds of dollars per week on out-of-pocket medical expenses and care costs for their adult children? Who will own your personal insurance policy is an important decision. This aspect discusses the ownership options that are available and highlights the advantages and disadvantages of each. Australia’s high level of under insurance, the gap between cover held and cover needed to protect against financial loss, has been well documented and publicised. This is an unfortunate state, even disheartening given that an adequate insurance portfolio is fundamental to a sound financial plan. One identical benefit can produce vastly different net results depending on the ownership structure. There are a number of different ownership options available, including self-ownership, cross ownership, joint ownership and ownership within a superannuation fund, by a trust, or company. These different ownership structures have distinct advantages and disadvantages. Given the legislative technicalities associated with insurance, you should seek advice from a qualified adviser to work through each of the alternatives to find the most appropriate ownership structure for you. This form of ownership occurs where the life insured owns the policy, controls the operation of the policy, and may receive the proceeds or the proceeds are passed to their estate. Please note: for the purposes of this discussion we are referring to ordinary life insurance policies, as opposed to life policies held through superannuation (discussed below). As the pol¡cy ownership does not have to be transferred or assigned by another party to the life insured when circumstances change, such as a break-up of relationship, it avoids administrative difficulties and possible capital gains tax (CGT) implications. The ability to nominate and revoke a number of beneficiaries (anyone can be nominated) assists in ensuring the policy remains relevant to the policy owner when circumstances change. For example, where a policy owner gets married, he/she may benefit the new spouse by simply modifying the beneficiary nomination in favour of their new spouse. This avoids the complications and costs of changing wills or assigning / transferring ownership of the policy. A policy owner has discretion to change their nomination of beneficiary at any time. It should be noted however that this provides scope to undermine the original intention or agreement underlying the policy. For example a wife who enters a business partnership may discretely change her beneficiary nomination to favour her business partner in order to meet business obligations or agreements. This potentially leaves her family under insured and exposed. For ordinary life insurance policies, the payout process is simple as there is a defined person to pay the benefit. The proceeds can generally be paid quickly to the nominated beneficiary/s once appropriate evidence is received. This can provide much needed financial relief especially as death can bring sudden and substantial cash flow pressures, such as funeral expenses. The taxation of premiums and payouts on ordinary life insurance policies purchased by individuals is relatively straightforward. The premium on these policies is generally not tax deductible and any lump sum payouts are tax free in the hands of the beneficiaries. Generally, total and permanent disability (TPD) and trauma insurances are self-owned as it ensures that tax free benefit proceeds are passed directly to the life insured. The tax treatment on income protection policies is such that premiums are tax deductible and the proceeds, paid in the form of a regular benefit payment, are taxable to the owner. Different tax implications may apply when the policies are purchased for business purposes or through trust arrangements. ln cross-ownership the policy is owned and proceeds will be received by a party other than the life insured. lt is a traditionally popular form of ownership used between spouses and also business partners. ln the case of a married couple each spouse becomes the owner on a life insurance policy in which their husband/wife is the life insured. lf one spouse dies, the remaining spouse is paid the proceeds directly. As the death benefits are paid directly, rather than going through the estate, it avoids the costs and delays associated with the granting of probate. While the concept of a cross-owned policy is simple enough, in practice it does not always follow nor favour the life insured and to some degree the policy owner. Unlike a self-owned structure, the life insured cannot continue to direct or control the policy. ln a break-up of relationship the life insured may need to purchase a new policy because of the impossibility of adjusting or directing the benefits of a policy that continues to belong to someone else. Purchasing new insurances may be particularly difficult if the life insured’s age or health status affects their insurability. There may be a disproportionate cost of premiums on respective policies, especially where there is an age or health difference. The difficulty that lies in cross owning an insurance policy(s) therefore is that policies have to be restructured each time there is a change in the relationship! Restructuring may also give rise to unforeseen tax implications. This is especially true in the case of business arrangements. Note: For cross-owned TPD and trauma insurance the owner also receives the proceeds. Ln this situation the proceeds may not be exempt from capital gains tax as the person receiving the proceeds is not the same person suffering the disability or trauma. A policy can be owned jointly as joint tenants. The underlying principle is no different to how this ownership structure applies to other assets, such as property. ln a joint tenant’s arrangement if one owner (life insured) dies, the policy automatically becomes owned by the joint owner. The proceeds do not form part of the Estate of the deceased. Life/TPD insurance may be purchased through superannuation, enabling a benefit to be paid by the insurer to the trustee of the fund who effectively owns the policy. The amount is then added to the member’s (i.e. life insured’s) superannuation account balance in the fund, with the total amount available to be paid. Provisions and processes exist to give potential beneficiaries an avenue to have their claims properly considered. Not only may settlement of claim take longer than that associated with ordinary life insurance, but the proceeds could potentially end up in the hands of those unintended. Life insurance in superannuation remains a popular form of ownership because insurance premiums within superannuation are funded from superannuation balances and / or contributions rather than ‘out-of-pocket expenses’. Moreover tax concessions and other benefits normally associated with making superannuation contributions are available to those who contribute to superannuation, and meet relevant conditions, to fund insurance premiums. For example, self-employed people can claim a tax deduction for personal contributions to superannuation, which are subsequently used to fund insurance premiums. Life and TPD proceeds paid from superannuation however may be tax implicated. This will depend on a number of factors and should be discussed with your adviser. Due to the removal of reasonable benefit limits (RBLs) from 1 July 2007, there has been an increase in life and TPD insurance purchased inside superannuation. However, due to the potential time delays or uncertainty of trustee discretion, it may be prudent to hold some life insurance outside of superannuation. Trauma insurance is normally purchased as an ordinary policy rather than through superannuation. This is because of the difficulties associated with meeting the superannuation ‘sole purpose test’ and ‘conditions of release’ and therefore having access to the proceeds. ln March 2007 the Australian Taxation Office (ATO) rebased a tax determination confirming that superannuation funds were able to claim a tax deduction for income protection insurance premiums reflected the period of disability. This has resulted in an increase in the number of funds offering income protection insurance through superannuation. Previously, where income protection, or salary continuance, was purchased through superannuation, the premium was generally only tax deductible where the benefit payment period was limited to two years. Therefore, most superannuation funds, where they provided salary continuance insurance, only provided a two years benefit payment period. Note: It is important to remember that some income protection policies may offer additional benefits, such as minimum benefit payment periods for certain conditions, nursing care, etc. lf this is the case, these policies may not reflect the period of disability and therefore may not be tax deductible. For income tax purposes income protection benefits are treated as salary and wages in the hands of the recipient as they are intended to be a direct compensation for salary in the period of temporary disablement, ln order to access the benefit, a member will need to meet, and continue to meet, the superannuation temporary incapacity condition of release, and if so, will be paid a regular benefit payment from the superannuation fund. The salary continuance benefits are considered as ‘replacement income’ as opposed to ‘retirement income’ as they are payable on the assumption that the disablement is in fact temporary and the recipient will return to work. There is an ongoing action or review of insurance matters by the Government and the ATO. Sydney residential market – bust in the making? Not a day seems to go by without at least one new headline pointing to a Sydney housing boom. We are often asked why the Sydney market is so strong, how much longer the growth can persist and will it ultimately end in tears. Unfortunately, there are no simple answers. Most people are quick to point to record low interest rates as the root cause of the Sydney housing boom. With cash and term deposit rates not much higher than the inflation rate, investors are being forced to look elsewhere for yield, and housing (not to mention the blue chips stocks such as the banks and Telstra) appears to be a key beneficiary. 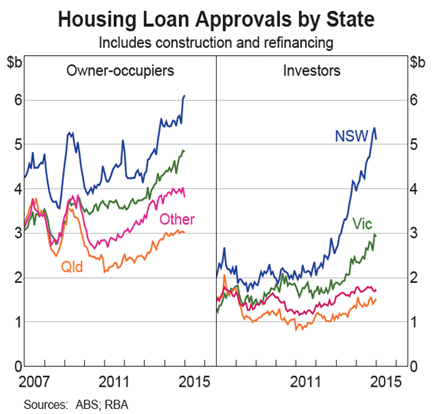 The RBA has pointed out in its March 2015 Financial Stability Review that “ … the composition of new mortgage finance remains skewed to investors … and investor housing loans in NSW have increased by 150% over the past three years and now account for almost half of the value of all housing loan approvals in that State” (see Figure 1). However, low interest rates and heightened investor activity are not the sole drivers of the Sydney housing boom, otherwise we would be in the midst of a housing boom across Australia which, as the latest house price figures from CoreLogic RP Data (Home Value Index) confirm, we are not. Sydney’s home values were up 13.9% in the year to March 2015 – the only market to record double digit growth. 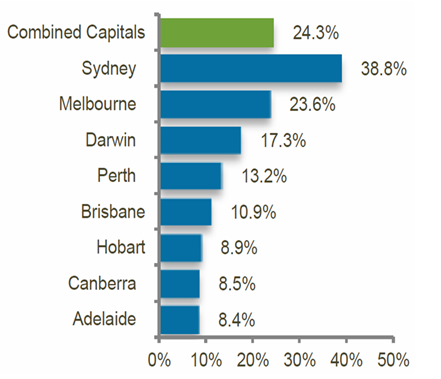 Melbourne was the next best performing market with an annual increase of 5.6% (Figure 2). Surprisingly, Perth, Hobart and Darwin all recorded declines in value of 0.1%, 0.3% and 0.8% respectively. Looking at home value changes since the last market trough, again price growth has not been uniform across the country (Figure 3). Sydney home values have increased by 38.8%, Melbourne’s are up 23.6%, Perth’s are up 13.2% and Brisbane at 10.9%. 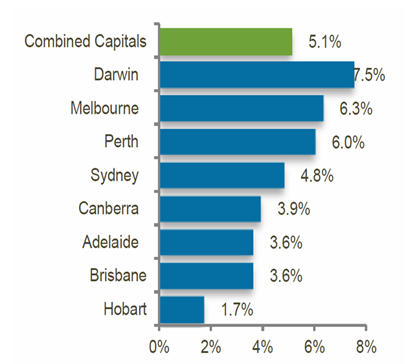 Hobart, Canberra and Adelaide have all recorded single digit growth of 8.9%, 8.5% and 8.4% respectively. Source: CoreLogic RPData. Note that the ‘trough’ is at different times in different cities. Therefore, there must be other factors at play that are coming together driving the strength in Sydney house prices. No wonder the RBA has a dilemma. The RBA needs a stronger housing market to offset a downturn in the resource sector yet only Sydney and Melbourne seem to be responding. Why is Sydney out of step with the rest of the county? We need to go back and review the price performance of Sydney over the past ten years to put the recent price movements into a longer term perspective. According to CoreLogic RP Data, Sydney’s annual price growth over the past decade has been relatively subdued at just 4.8% putting Sydney well behind Darwin at 7.5%, Melbourne at 6.3%, and Perth at 6.0% (Figure 4). Sydney housing market did not perform that well in the mid 2000’s and there has been a degree of catch-up between 2012 and 2014. However, the strong market has continued into 2015 and it appears that certain parts of the Sydney market are now overshooting. When investment markets (whether property or equities) are running hot there is the natural human physic to jump on the bandwagon commonly known as the ‘fear of missing out’ syndrome. This is certainly alive and well in Sydney and is partly responsible for fuelling the current price exuberance. Sydney is experiencing a population explosion. Annual population growth averaged 1.3% between the early 80’s and mid 2000’s but in recent years has been running at higher levels. According to ABS Regional Population Growth statistics, in the year to June 2014, Sydney’s population increased by 84,200 to 4.84 million – an increase of 1.8%, and above the national average of 1.6%. Population growth is a combination of international migration, interstate migration and natural growth (births less deaths). Australia’s is running very high international migration levels. Net international migration (arrivals less departures) in the year to June 2014 was around 213,000 – of which 73,300 located in NSW (most whom would have located in Sydney). When it comes to interstate migration, the level of outflow of residents from NSW to other states has slowed considerably in recent years. In the year to June 2014, there was a net loss of just 6,857 residents. Back in 2004-2005, NSW recorded a net loss of 26,321 people. This means a higher proportion of Sydney residents are now staying, putting further pressure on the demand for housing. The recent growth in Sydney’s population is set to continue. The NSW State Government is forecasting positive growth for metropolitan Sydney of 1.6% on an annual basis out to 2031 – this equates to population growth of 1.575 million over the 20 year period to 2031, or growth of 78,775 per annum. Therefore, at the current (2011 Census) rate of 2.7 people per household across Sydney, an additional 29,177 new dwellings are required per year to match demand based on past household formation rates. We simply haven’t been building enough houses in Sydney to meet this demand and this is putting upward pressure on prices. In the past five years, there have been 195,920 dwelling commencements in NSW compared to 272,243 in Victoria – that’s a staggering 28% less dwellings built in NSW (ABS – 8752.0 Building Activity). In 2011, commencements totalled just 33,433 in NSW compared to 54,606 in Victoria. In 2014, commencement levels were up 47% on 2011 levels, however at 49,313 commencements NSW was still lagging Victoria with 58,330 commencements. Despite recent efforts by the Baird Government to speed up the release of land, Sydney’s land release program has generally lagged. Sydney also has a convoluted planning process that leads to significant delays and risks in the development process, which adds to the cost of development (higher financing costs and statutory costs such as rates and land tax) which ultimately gets passed on to the price of land and housing. Victoria has a much more transparent planning system and this is one of the key reasons Melbourne has been better able to respond to demand and kept the price of land well below that of Sydney. Decisive action by both State Government and the 43 councils in Sydney (that is way too many but I’ll leave a discussion of council rationalisation for another day) is required to remove roadblocks and reform the planning system to bring onto the market much-needed new housing supply. The cost of providing the basic raw material – land – in Sydney is higher than any other Australian city due to planning delays as noted above and infrastructure charges. According to the HIA – Core Logic RPData Land Report for September 2014, the median residential lot value in Sydney was $320,000 compared to $220,000 in Melbourne. Historically, the NSW government covered the cost of providing infrastructure for new housing from general tax revenue. Over recent decades, state policies have shifted toward user-funding of infrastructure, which has meant a significant increase in the private cost of development. Urbis (National Dwelling Cost Study for the National Housing Supply Council – 2011) estimates that in 2010 total government charges (excluding GST) levied on Sydney developers was approximately $60,000 per greenfield dwelling, and between $20,000 and $30,000 per greenfield dwelling in other cities. For infill developments, total government charges levied on developers for greenfield developments are approximately $20,000 to $25,000 per apartment in Sydney and Brisbane and around $10,000 per apartment in Melbourne and Perth. The ownership of land on the urban fringe of Sydney is highly fragmented. As Sydney grows, having multiple owners on the fringe makes it more difficult and costly to amalgamate and bring large parcels of land to market. Unlike Melbourne, Sydney is geographically constrained on all four boundaries by nature which is limiting the release of cheap land on the urban fringe. Some could argue that is a good thing as it prevents even further urban sprawl. But the simple fact is less land availability means higher land prices. Foreign investor activity in the Sydney market has been rising, reflecting a global search for yield, a lower Australian dollar and the increased interest in Sydney from Asia, particularly China. It is true that in certain parts of Sydney foreign capital is driving prices higher. Some inner city apartment markets and the higher price point suburbs such as Point Piper in the east and Mosman in the north have witnessed strong price gains off the back of foreign buyer demand. “The housing supply issues that have been on-going in Australia would worsen if foreign investment was curtailed. One of the likely outcomes of any restriction on foreign buyers could therefore be further price increases – the opposite to what some in the community believe would occur if foreign investment was further restricted”. Finally, we are increasingly bombarded with overseas commentators pointing out Australian, and in particular Sydney, housing is amongst the most expensive in the world. Whilst on most raw measures it is, one thing these commentators often forget to take into account is our geographic location. Australia is one of the most urbanised nations in the world, with 80-85% of the population living within 50 kilometres of the coast and 67% living within our capital cities. If we compare the prices of Australia’s capital cities to other global coastal cities, Australia is not that different to other countries. However, when compared on a country-by-country basis Australia, looks expensive because the analysis does not allow for the price differential between coastal and inland locations. 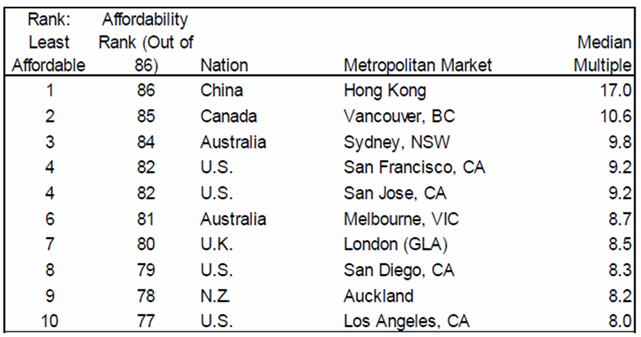 Of the top 10 least affordable cities in the world, of which Sydney is one, only London is not a coastal city (Table 1). There is no question that rising prices, auction clearance rates consistently above 80% and falling yields, are pointing to a Sydney housing boom. It is not sustainable but we don’t expect a major price correction for the reasons we have outlined above. Rather we would expect the rate of price growth to slow during the remainder of 2015. When the Sydney housing market starts to lose momentum, some investors will be left holding a very expensive but low yielding asset with a lower-than-expected rate of capital gain. Prospective investors would be wise to use some caution when considering an investment in the Sydney market. Just as we pointed out earlier, the national housing market is not homogenous, nor is it within the Sydney market. Sydney is a diverse market accommodating many different buyer preferences and price points. There are certainly pockets now where prices have run too hard and are above fair value and that is where the risk concentrations are being built up. Investors should focus on housing that is well located around good public transport hubs, educational facilities and retail centres. One caveat on our outlook. With the ratio of household debt to income at record highs, the Sydney market will respond swiftly to any perception of interest rate rises, any contraction in global banking liquidity or government intervention. We welcome the recent moves by APRA and ASIC to increase their surveillance of home lending by banks, especially to investors. Prudent lending is critical to ensuring the strong Sydney market does not end in tears. Adrian Harrington is Head of Funds Management at Folkestone Limited (ASX code FLK). This article is general information and does not consider the personal circumstances of any investor. In Australia, the minimum age for a primary account holder of a credit card is 18 years of age. Depending on the card issuer however, it may be possible for subsidiary cards to be issued to younger teenagers on behalf of the primary account holder. Whilst a large number of card holders are able to manage their credit limits responsibly, there are a growing number of individuals who end up finding themselves in financial difficulty. With the sheer volume of cards (and offers) out there today, it is more important than ever to teach kids about the pros and cons of holding a credit card and how to use them wisely. When used properly, credit cards can be a safe convenient way of paying for goods and services. They are easier than carrying cash, they are accepted at millions of physical locations as well as online and you can purchase things immediately when you don’t have the money on hand. Depending on the card, you may also be eligible for a variety of rewards. Conversely however, credit cards can make impulse purchases easier which can then add up and blow your budget and if you carry a balance forward you will pay interest which increases the real cost of the items you purchase. In addition to this, credit cards require discipline and mistakes can result in fees, interest rate increases and damage to your credit history. Annual Fees – The annual fee is applicable whether or not the card is used. Some cards charge a substantial annual fee just for the privilege of holding the card whereas others carry low or even no annual fees. In these cases however, the lack of an annual fee is often tied to a higher interest rate for purchases which may turn out to be more costly in the long run. Grace Periods – Most credit cards give a certain amount of days to pay the bill before any interest will be charged on purchases although some will offer no grace period and charge interest from day one so it is important to check. The grace period only applies however when you pay-off your entire balance due each month. If you only pay the minimum payment, interest is immediately accrued from the moment you charge something to your credit card. Interest Rates – Rates are expressed in annual terms even though the bills will come monthly. If your credit card uses different rates for purchases, transfers, and cash advances, realize that the card issuer may pay the lower interest rate balance first. Consequently, if you carry a balance forward, your high-rate cash advance may not be “paid” until all lower-rate balances are paid in full. Some cards have an initially low rate as an incentive for new users which remains in effect for only the first 6 months of the card issue after which it will jump to a much higher rate. There may be greater benefit however in going for an overall medium rate than an initial incentive rate which moves to a comparatively high rate. If opting for a fixed rate card however, be aware that these are not fixed forever. Rates can be changed at any time, as long as the card issuer provides the required amount of advance notice of the change in terms. Fees may also increase. These “Change in Terms” notices are usually included with your monthly statement. Other Items – While annual fees, introductory rates, and interest rates are the main features to check out, users should also look for any penalty interest rates (interest plus an additional amount) that may be imposed for violating the terms of the credit agreement (for example, exceeding the credit limit or failing to pay on time). They should look for cash advance terms that may be unfavorable (for example, a higher interest rate on advances than the rate charged on purchases). In addition to this, users should be wary of offers of no payment/no interest for a period of time. Frequently offered by furniture and electronics stores, these can be good offers, but make sure the fine print is understood. Generally, you need to pay off the entire balance before the end of the “free” period to receive the benefit. Otherwise, you will probably have to pay interest on the entire balance from the date of your purchase. As adults, most of us receive some sort of regular payment be it a salary, pension or another form of benefit and in order for us to ensure that we have enough to live on from one payment to the next, we have to budget. This is an important skill to pass onto children although it can be hard because often their experience of money is that it comes out of a hole in the wall and you simply go and ask for more whenever you want it. Alternately, for those children of parents who purchase everything on credit cards or buy everything online from gifts to groceries, they may not see actual cash all that often. Let your child experience the relationship between work and money. One of the best ways to do this is to provide an allowance. The allowance could be given to them in a combination of notes and coins to teach them how to handle different sums of money – this also allows them to immediately put a portion aside for saving. You may decide to create a chart with a list of chores plus the relevant pay rate for each chore as it can help to motivate a child when they understand that money is directly tied to the work they do. Whether you then choose to award pocket money only for the chores completed or even start off with a base amount to give your child and deduct a relevant portion of this for chores not completed is up to you. For some families however, the idea of paying for chores is somewhat controversial as it is felt that children should complete chores not for additional compensation but to contribute to the household. A compromise for this philosophy is to establish a minimum level of chores required for the household contribution (putting toys away, setting the table etc) and anything your child does that goes “above and beyond” their normal duties is rewarded with pay. Establish the Three Money Jars. It is important to provide your child with a place to actually put their money such as a piggy bank or a bank account or perhaps both. Another suggestion is the Three Money Jars option where you have your child divide any cash they receive between three jars set up for Saving, Spending and Sharing. Help your child to apportion their money accordingly but also help them to understand that they will need to save for something they really want such as a computer game or toy. Let them know that they should keep some money aside to spend on immediate expenses such as an ice cream or candy and teach them that they should always put aside a portion of their wealth to share. It is important that your child decide the cause with which they are sharing their money and this might be a tithe at church, a donation to an animal shelter or giving it to the Salvation Army or the homeless. Get help with the shopping. Another useful aid to teach your kids about the value of money and budgeting is your regular grocery shop. For older children, you might decide to send them to the shops with a fixed sum of money. You can tell them that they need to buy everything on your list but that they can save any money left over. They will then need to consider brands, bulk buying and perhaps even where to shop. For younger children, you might want to give them some cash at the checkout and let them pay for small expenses asking them to check that they receive the right change at the end. You can also ask them to help you shop for cheaper items by keeping an eye out for coupons and advertisements or looking at the shelf labels to identify the cheapest price per quantity of the item in question. One of the most important things when teaching your children about the value of money and budgets is to be a role model for them. Include them in discussions, invite them to understand and teach them the value of working (and perhaps also waiting) for what they want. Private health insurance. It can be a minefield to navigate and a big decision for many people. Hospital, extras or both? Which fund? What do all the rebates, thresholds and surcharges mean? Here we look at what the future holds for the industry, recent legislative changes, and how you can make the most out of this important investment into health and wellbeing. Jean is 56, single, and has limited private health cover. She has always enjoyed good health, pays special attention to her fitness and prides herself on rarely needing to see a doctor. However, in the past year Jean’s teeth have been causing her problems and one of her knees needs to be replaced following years of running, limiting her active lifestyle. Unfortunately, Jean suddenly discovered both of those reasons applied to her situation. She has received quotes for major dental work that run into thousands of dollars, much of which her health insurance won’t cover. Her limited health cover also means she faces a long wait before she is able to have the knee surgery. Driven by an ageing population and increasingly expensive health care products and services, in less than four decades a projected 46 percent of all Australian government spending will be on health and ageing4, meaning health inflation is rising consistently faster than the rest of the economy. And annual private health insurance premium increases, which are controlled by the Australian government, have failed to keep pace with health inflation over the past seven years. The Commission also concluded that significant opportunities exist to improve the operation of Australia’s private health insurance system, which could help rein in health spending. One thing that does help with the rising cost of health insurance is the Australian Government rebate on Private Health Insurance though that assistance has been whittled away in recent years. On 1 July 2012 this rebate became income tested, meaning it is affected by a variety of factors—including a person’s age, income and the number of children covered under the policy. At that time, though, the rebate increased by the same proportion as the price of the cover. However, on 1 April 2014 new calculations were introduced. The rebate is now linked to the rate of inflation and the industry average price increase, rather than being a fixed percentage. This change applies to all Australian health funds, and means the value of the rebate will actually decrease over time. A person’s rebate entitlement will also continue to be based on their age and income. The government recently released the updated private health insurance rebate and Medicare levy surcharge income thresholds, which will take effect as of 1 July 2014. However, as part of the recently released federal budget, the government has proposed freezing both the income thresholds and rebate percentages for three years from 1 July 20157 — meaning income thresholds will likely be adjusted again on 1 July 2015 but then fixed for three years, and rebate percentages adjusted on 1 April 2015 and then also fixed for three years. Stay tuned, though—as with many budget measures, these changes are yet to receive support from the Senate. Review your policy. If you’ve had the same policy for many years, chances are you’re paying for things you don’t need. You might find you’re still covered for pregnancy when your kids have all moved out of home! There are also some legacy health covers still in the market that may mean older people in particular can be paying more than they need to—for example, they may be charged a daily levy for each night spent in hospital on top of their excess. Make sure you’ve registered the correct income threshold. To receive the maximum government rebate on private health insurance, you need to nominate an income threshold, or tier, based on the amount you earn. Avoid a nasty surprise at tax time by ensuring your selected tier reflects your current income. You can make changes to your tier at any time during the year if your circumstances change. Check your ambulance cover. Many people fall into the trap of believing private health insurance covers all ambulance travel, but in fact it will often only apply to an emergency ambulance—and that depends on how the state ambulance service categorises your medical condition. Cover also varies from state to state, including where the accident or emergency occurs as well as where you are insured. Consider your excess. If you’re looking to save money, there are options to pay a higher excess to reduce your premium. Just remember you’ll need to be prepared to pay the excess if you do go to hospital. The longer you wait, the more you’ll pay. In 1999 the government introduced Lifetime Health Cover, which is a two percent loading on private health insurance premiums for every year that a person over the age of 30 is without private hospital cover (up to a maximum of 70 percent). If you are a high-income earner, you’ll also pay the Medicare Levy Surcharge for every day you don’t have private health insurance. The hope, of course, is that people live a long and healthy life and won’t need the protection that private health insurance provides. But the reality is that almost everyone will benefit from health cover—be it sooner or later. Life changes and if you have any questions on how to position your portfolio please don’t hesitate to contact the team at Main Street Financial Solutions either via email admin@mainstreetfs.com.au or 03-61730070. While the first life insurance policies can be traced back hundreds of years, trauma insurance is a comparatively new entrant to the insurance market. Trauma insurance was first released in 1983 thanks to a South African surgeon, Dr Marius Barnard. The first policies were issued in Australia roughly ten years later. Dr Barnard saw a need for financial assistance for patients who suffered a significant illness or accident. “When I went into private practice I could not help but notice that while many patients eventually fully recovered medically, they suffered severe financial problems. This was not because of the cost of the operation but because of the disruption to their lives and their loss of income,” Dr Barnard said. Trauma insurance can fill this gap. Where total and permanent disablement (TPD) requires you to be unlikely to work again, and income protection pays if you are unable to work either temporarily or permanently, trauma payments require you to meet the definition of one of a list of specified diseases and injuries. So it’s not about the level or length of the disability; rather, it’s based on the diagnosis. You may have heard trauma insurance referred to by another name, such as living, critical illness or crisis recovery. Trauma insurance can be complicated, with different policies covering different conditions, each with specific definitions. Initially, just a handful of conditions were covered: cancer, heart attack, stroke and coronary artery surgery. This list has expanded and some policies cover up to 40 conditions including degenerative diseases like multiple sclerosis and Parkinson’s disease, paralysis, comas, loss of speech, deafness, chronic organ failure, major organ transplants, occupationally acquired HIV and even severe rheumatoid arthritis. What do you want your life to look like afterward. Firstly, your adviser may consider your income needs. As income protection only covers you for 75% of your income, many advisers will recommend that you top this up to 100% with trauma. The period you allow for is up to you, although a general rule of thumb is to allow at least two years. You may also consider the other income in your household. If you were undergoing treatment for cancer, or diagnosed with motor neuron disease, would you need and/or prefer for your partner to take some time out of the workforce to look after you and your family? Having this option to step out of the workforce to concentrate on your recovery can make an enormous difference. Secondly, you and your adviser may consider the cost to have access to the best medical care available. You should consider the cost of treatment, potential travel and accommodation along with ongoing therapy. It can be difficult to quantify how much could be required. The cost of treatment and loss of productivity from cancer has been estimated at hundreds of thousands of dollars in a report for the Cancer Council of NSW. When looking at medical costs, it isn’t just about treatment costs. Having access to quality rehabilitation services will assist your recovery. Whether this be physiotherapy, wellness services, counseling or alternative medicine, your plan needs to include an amount to fund your recovery. Finally, it’s important to contemplate what changes you may like to make to your life. Will you still have the same drive to return to work? Your priorities could change, and planning for this can give you the ability to reduce your hours or cease work entirely. If you’re working towards retirement, you may wish to bring this date forward. Your adviser can discuss with you how these objectives can be achieved, such as through replacing income or reducing debt, so that less income is required. While trauma is not well known, you are more likely to claim on this cover than life or TPD insurance. Spending time with your adviser to talk through your personal situation and plan for your individual needs is an important step in making sure you have the right level of cover in place. Eleanor is a 44-year-old anaesthetist. She is married to Matt, an engineer, and they have two children aged eight and six. She discussed with her adviser how difficult it was to consider what she would do if diagnosed with a serious disease or injury, but there were a number of scenarios she was sure of. Eleanor knew that if she had to go through treatment for cancer, she wanted Matt to be able to care for her and the children. She also said if she was diagnosed with a degenerative disease like multiple sclerosis, she would want to change her priorities, step away from work and focus on her well-being. With her adviser, they put together a sum insured that would cover 25% of her income for two years (her income protection policy will provide the other 75% if she is off work). They also calculated lump sum for medical care and enough to pay off their mortgage. While paying off the mortgage was not a specified need, the ability to do this would allow either Matt or Eleanor to cease working. While the future is uncertain, talking through and understanding their protection plan has given Eleanor and Matt confidence that they’ve prepared for the unexpected. 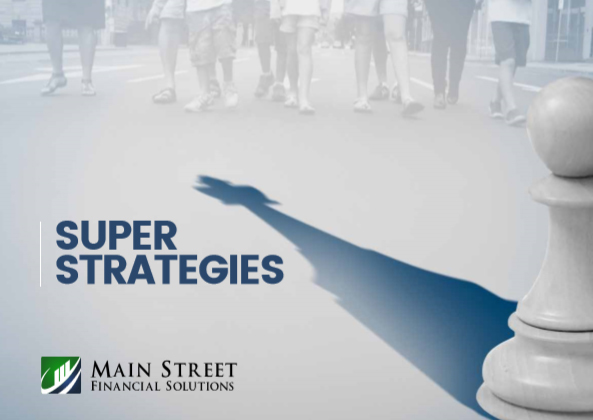 Life changes and if you have any questions on how to protect your position please don’t hesitate to contact the team at Main Street Financial Solutions either via email admin@mainstreetfs.com.au or 03-61730070 . Australians are becoming more educated about their health – whether it’s actively pursuing preventative measures or a greater awareness of health care options. Combined with improvements in medical technology and clinical practices, there has been a marked decline in the rate of dying from major health conditions in recent times1. For example, the death rate from male cancer over the 20 years to 2007 fell by 16 percent. Australians are living longer – and with that is the increased likelihood you’ll experience a major health issue. But survival rates are also on the increase due to medical advancements. The number of Australians living with long term health issues is also increasing. It’s estimated that as many as 1.7 million Australians have undiagnosed ‘type 2’ diabetes5. More than 4 million Australians are living with some form of disablement6. If the unforeseen was to happen to you, how would you protect yourself and your loved ones? Consider the financial impact of absences from work and medical expenses. Without a plan, you may struggle to maintain your lifestyle during recovery. Part of your plan should include considering personal insurance to protect you financially against serious disablement or illness. Trauma or Total and Permanent Disablement – or both? Many Australians have some type of insurance cover through their super – but are you sure it will be enough or it will cover you if you suffer a serious health condition and survive? Trauma and Total and Permanent disablement (TPD) cover will pay you a lump sum benefit which will assist in improving the quality of your life. Importantly, it gives you choices – treatment and rehabilitation, future employment options, home modifications. Each one is unique to your circumstances. Trauma cover pays a lump sum if you suffer a serious health condition or trauma event such as a heart attack or cancer. Trauma cover provides the financial assistance you need so you can focus on your recovery. It is worth noting that trauma cover is not usually available through your super fund so this type of cover is definitely worth considering. If you were to become totally and permanently disabled and were unable to work again, then payment of a TPD benefit would provide financial relief. TPD covers illnesses and injuries that are not usually covered under trauma cover. The lump sum can be used to meet immediate expenses and payment of debt and can also be structured to provide an income for you and your family over the long term. If you do have TPD cover in your super, you’ll need to assess whether it’s enough? The consideration is usually less about which cover is right for you but how much of each type of cover you need. At such a stressful time, the last thing you want to think about is money issues. Personal insurance is an effective way to protect you and your loved ones from the financial distress that many illnesses can cause.